The Trump administration has proposed $10.6 billion in budget cuts to public education funding; instead, the DOE plans to spend approximately $400 million on their school choice initiative, expanding vouchers to religious and private schools and expanding charter schools. This is the opposite of what large majorities of public school parents want. Only 23% of parents of public school kids approve of the job Education Secretary Betsy DeVos has done, according to a new poll of 1,200 parents from the American Federation of Teachers. And disapproval ratings are even higher among minority parents: 60% of African American parents and 46% of Latino parents are unhappy with DeVos. 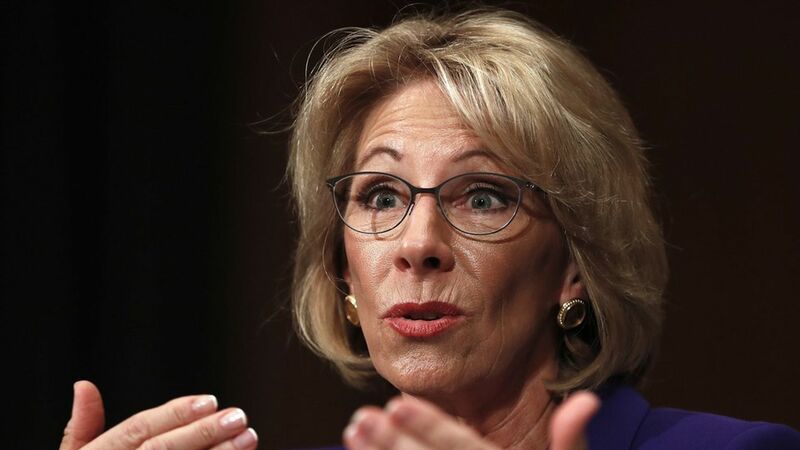 "Parents deeply support the public schools their children attend," AFT President Randi Weingarten said, adding that the administration's defunding efforts are "completely at odds with parents' educational priorities." Inadequate funding was one of the top two problems parents were most concerned about, with 87% of parents surveyed feeling concerned about the cuts at the local level.